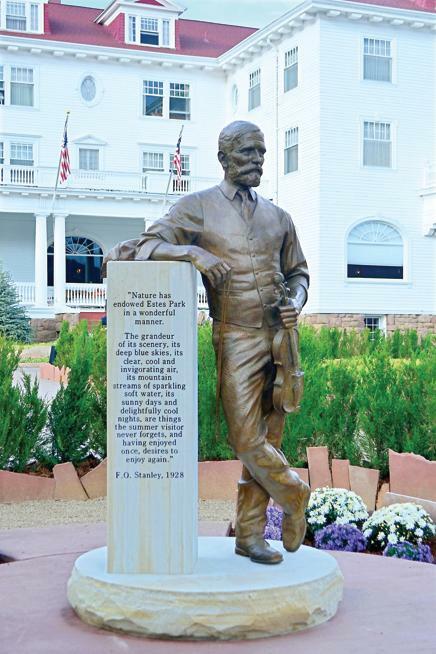 Freelan Oscar Stanley, the Father of Estes Park, once again stands gazing, violin in hand, from the terrace of his hotel across the Estes Valley to Long’s Peak. In October 2015, Cullen announced a competition for a sculpture to become the centerpiece of the new hedge maze on the terrace of the hotel. Three finalists were selected, and in March 2016, the proposal by Betti and Glanz was chosen. They began on the project immediately, completing it in six months. “Mr. Stanley was a pretty amazing person,” said Betti at the dedication. 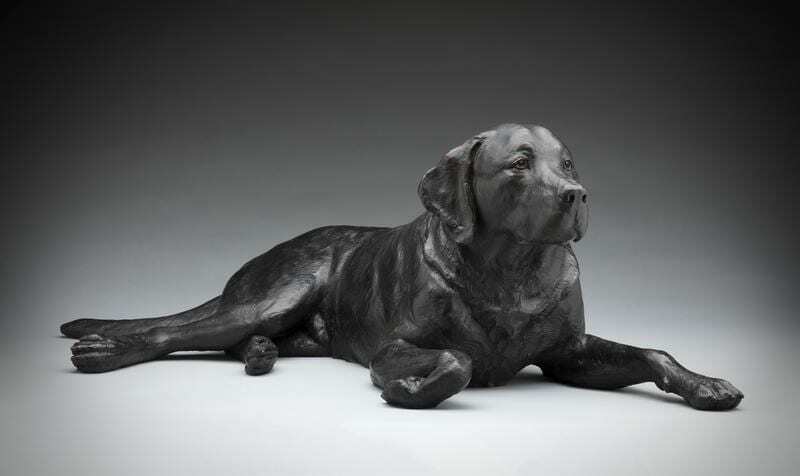 “We wanted to tell his story,” added Glanz. 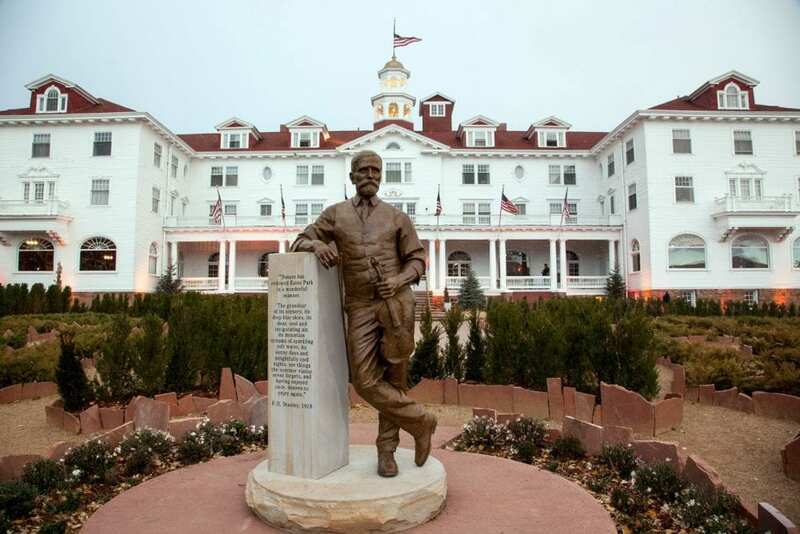 Working from period photographs, Betti and Glanz studied Mr. Stanley’s features and body language and read about his life and dedication to Estes Park. They settled on showing him in an informal stance, with one of his handmade violins in his hand, and a Stanley Steamer driving cap resting beside him. Betti and Glanz acknowledged the work of the skilled artisans who helped create the sculpture, including Steve Vontsolos (mold maker), Art Castings (foundry), Debbie Bakel (patineur) and especially, Arkin Park Stone of Loveland, makers of the base and column,which was quarried from local stone. Nature has endowed Estes Park in a wonderful manner. The grandeur of its scenery, its deep blue skies, its clear, cool and invigorating air, its mountain streams of sparkling soft water, its sunny days and delightfully cool nights, are things the summer visitor never forgets, and having enjoyed once, desires to enjoy again.